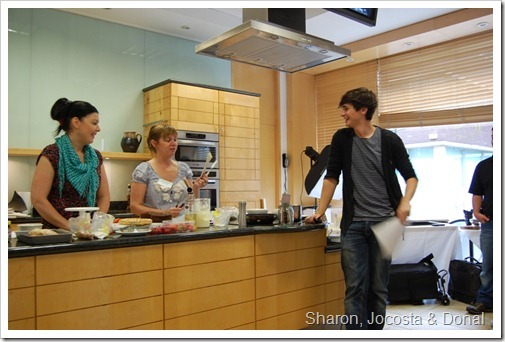 Our own fearless co-leader of the Irish Food Bloggers Association, Kristin Jensen, shared some top-notch tips on recipe writing that was a real eye opener while web guru Damien Mulley shared his secrets on SEO techniques. 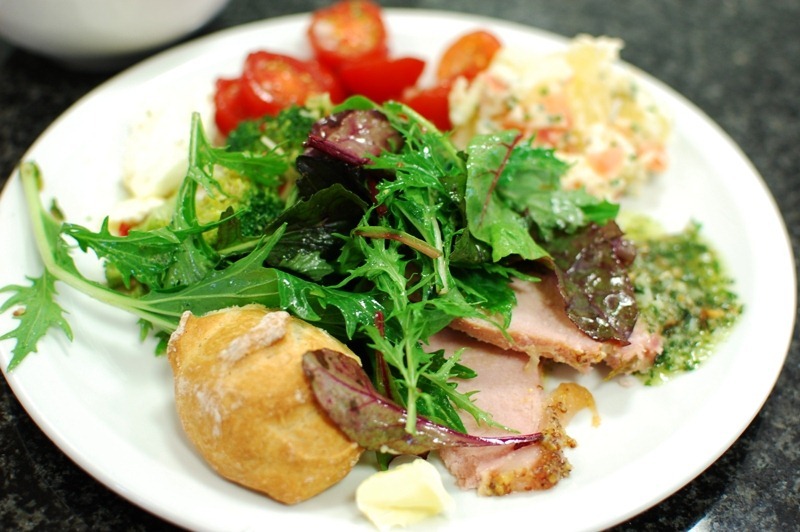 And the incredible cooks of Bord Bia served up a magnificent lunch of succulent Irish pork, potato salad, garden greens and the most beautiful cherry tomatoes you’ve ever seen. The whole day was organized and arranged by BB’s fantastic Maeve Desmond – a real life Wonder Woman who manages to do a million things without breaking a sweat. 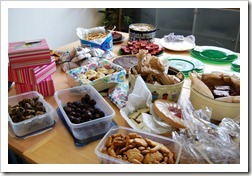 Because we’re all food fanatics who love to cook, everyone brought a treat to share and what a bounty it was! 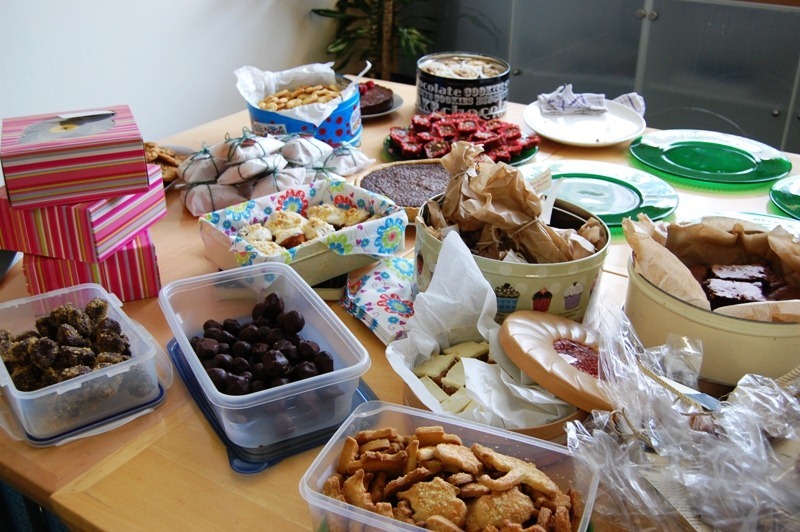 From individually-wrapped brownies and handmade buttery Danish biscuits to an espresso cheesecake and carrot cake, there were so many treats we ended up donating the leftovers to a charity after the day was done. A huge thanks to Margaret of Bord Bia for taking the goodies to some very appreciative folks. 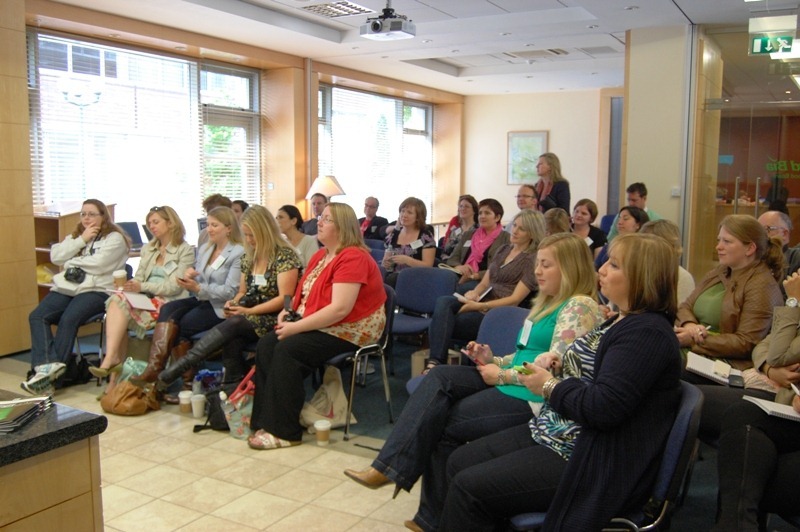 The best part of the day for me was seeing all the food bloggers in one place; last May, we gathered for the first time at Bord Bia and no one really knew anyone else. Over a year later many of us are friends and so many have developed either a career in food or are working on something exciting in the field. 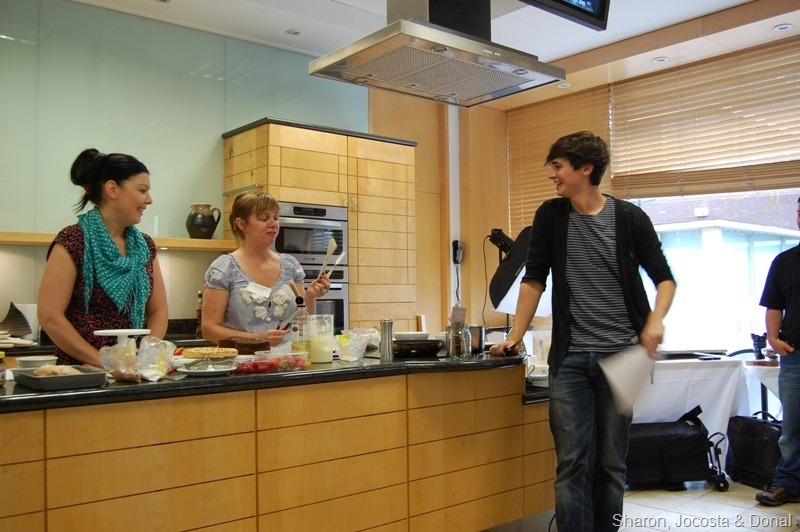 Lilly Higgins has a book coming out next month, Donal’s now on his second season of Kitchen Hero, Kristin has launched Edible Ireland and a few are talking to agents about possible book deals. It’s amazing to see how far everyone has come since our first meeting. I hope when we meet again next year and Google “Irish food,” the images that come up will reflect what Irish food has become: fresh, inventive food made with passion and love. My contribution to the day was Lemon Sweet Rolls, an incredibly easy dessert or breakfast treat that takes almost no time to make. 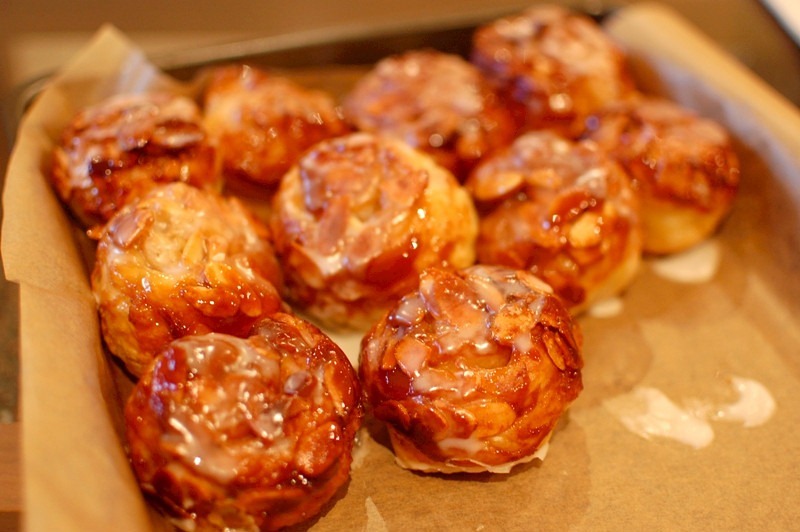 I used Ina Garten’s Easy Sticky Buns recipe as a base for this recipe. 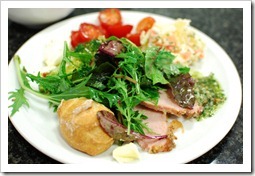 2 teaspoons fresh lemon juice (a bit more or less – you want it to be a bit runny but not too thin). Preheat the oven to 200 degrees C Place a 12-cup standard muffin tin on a sheet pan lined with parchment paper. In the bowl combine the 12 tablespoons butter and 1/3 cup brown sugar using a fork. Place 1 rounded tablespoon of the mixture in each of the 12 muffin cups. Distribute the almonds evenly among the 12 muffin cups on top of the butter and sugar mixture. In a medium bowl, combine the 1/3 cup light brown sugar, 1/3 cup caster sugar and the lemon zest and mix using a fork. This will help flavour the sugar with the lemony essence. Lightly flour a wooden board or stone surface. Unfold 1 sheet of puff pastry with the folds going left to right. Brush the whole sheet with the melted butter. Leaving a 1-inch border on the puff pastry, sprinkle each sheet with 1/3 cup of the lemon sugar mixture and 1/2 cup of the candied citrus peel. Starting with the end nearest you, roll the pastry up snugly like a jelly roll around the filling, finishing the roll with the seam side down. Trim the ends of the roll about 1/2-inch and discard. Slice the roll in 6 equal pieces, each about 1 1/2 inches wide. Place each piece, spiral side up, in 6 of the muffin cups. Repeat with the second sheet of puff pastry to make 12 sweet rolls. 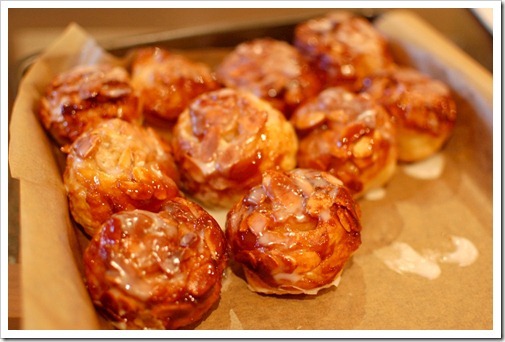 Bake for 20 minutes, until the sweet rolls are golden to dark brown on top and firm to the touch. While they are baking, combine the icing sugar with the lemon juice in a medium bowl until the consistency is about as thick as syrup. Remove the rolls from the oven. Be careful – they’re hot! Allow to cool for 5 minutes only, invert the buns onto the parchment paper and cool for five minutes. Now spoon on the lemon icing glaze and then let cool completely. Enjoy! 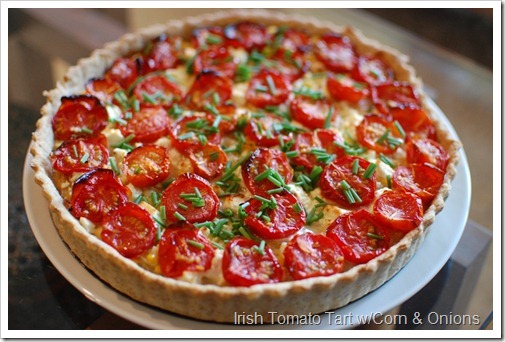 I love love love Irish tomatoes! They are red, sweet and absolutely gorgeous. 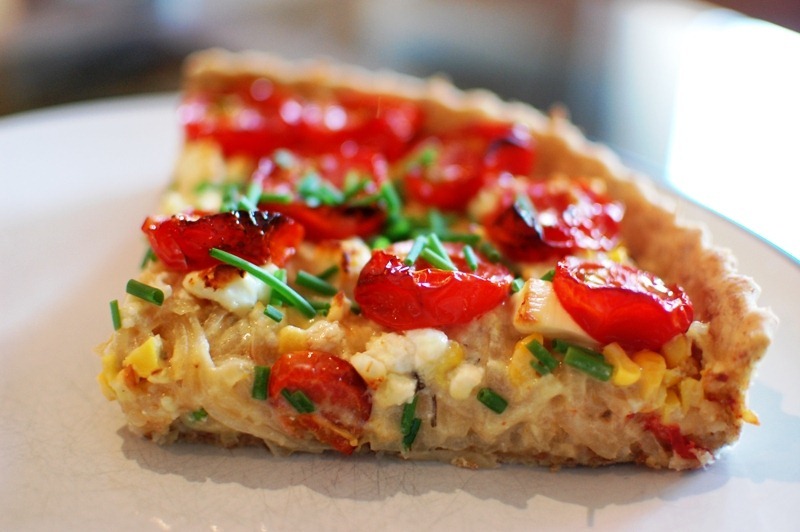 Inspired by the cherry toms I had at Bord Bia, I made this savoury tart for our dinner the other night and can say it will become a regular at our table. Now *this* is Irish food! 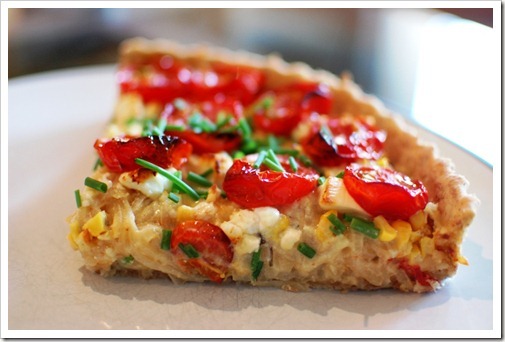 Preheat the oven to 150 C. Slice the cherry tomatoes in halves and lay – cut side up – on a baking tray. Drizzle with one tablespoon of olive oil and sprinkle with sea salt and pepper. Place in the oven and bake for 45 minutes. Remove and set aside. While your tomatoes are baking, heat up the remaining 3 tablespoons of olive oil in a large sauté pan. Add in the onion slices and cook until caramelized, about 15-20 minutes. You’ll want to stir occasionally but not too much – you want it to get golden brown! Set aside and let cool for 5 minutes. Turn the heat up on the oven to 170 C. Roll out your tart dough and place in a 9 or 10-inch tart pan with a removable bottom. You can also use a regular pie pan as well. Pierce the bottom with a fork to avoid shrinkage while the crust bakes. Place some foil on top of the crust and fill with beans or rice and blind bake in the oven for 10 minutes. Remove and set aside. In a large bowl, mix together the cooked onions, sweetcorn, yogurt, mayo and egg until combined. Pour the mixture (it will be super thick) into the crust (remove the foil first!). Now sprinkle with the feta cheese. 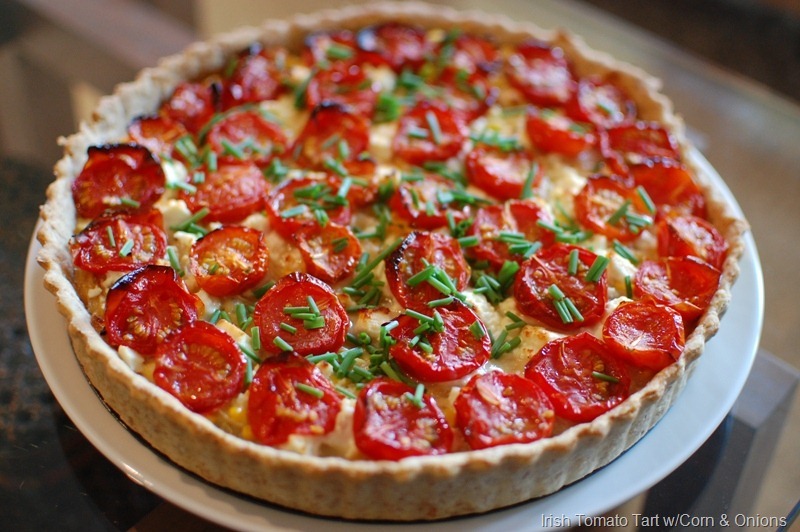 Lastly, arrange the tomatoes in whatever fashion you like on the top. Place back in the oven and bake for 20 minutes. Remove, let cool for 5 minutes and serve. Hard to believe that just over a year ago, we were all strangers to each other! Your lemon rolls were the only thing I managed to taste on the day, and I’m glad I did, they were lovely. 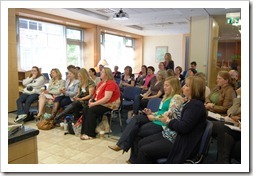 The more post I see about the Food Bloggers Day at Bord Bia, the sadder I become, at missing out on all the amazing information, tips, and, of course, food. Two great recipes here, Clare, which I feel I have to try. Your rolls were delicious, I’m really happy I tried it. Kristin: I know, it’s crazy how fast time flies isn’t it?? It’s amazing to see the growth of the IFBA and its members. Colette: I swear I thought you were there…in fact, a woman came up and introduced herself to me and I said, “Colette, we met in Drogheda!” She didn’t say anything, LOL. I think it was actually Margaret…you two could be twins I swear! Wiosanna: Thank you! Your cookies were fantastic as well :). Fresh pack of McVitie’ Plain Digestive Biscuits. Let butter get to easily spreadable stage, then make biscuit sandwich with it. This looks really good. How does “1 tin of sweetcorn, drained” compare in quantity to 1 cup of frozen corn? Added this to the list of reasons I *NEED* a tart pan. Alan: Ah, a classic dish indeed, and one of my favourites! Jen: One cup of fresh corn will do! Really up to you though, you can add more if you like. Cathy: I finally got one, cheap at TK Maxx! It’s paid for itself twice over I use it so much. Oh, I’ve just discovered your blog and am so excited but I wish I had discovered it months ago. We are taking off Friday for 10 days in Ireland. I am a food blogger currently living in Texas. We’ll be in Dublin and then we will drive along the coast to Dingle. The majority of the time, we will be in Dingle. I can’t wait to read more! An American in Ireland is powered by	WordPress 4.5.17 and delivered to you in 0.257 seconds using 45 queries.